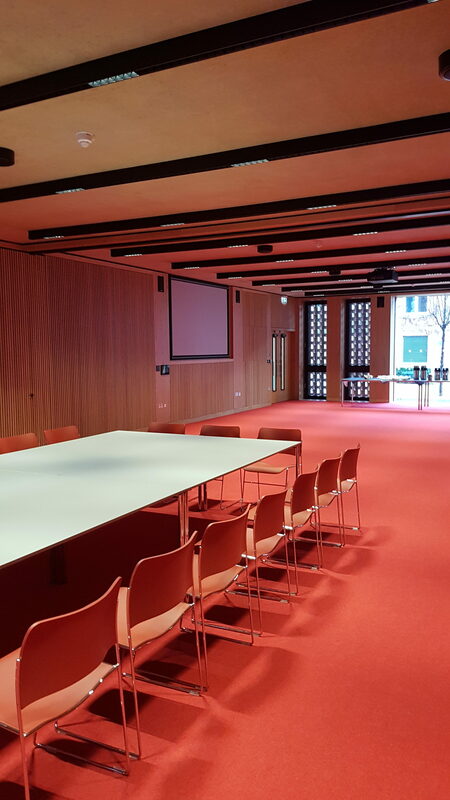 New College space in Cambridge! 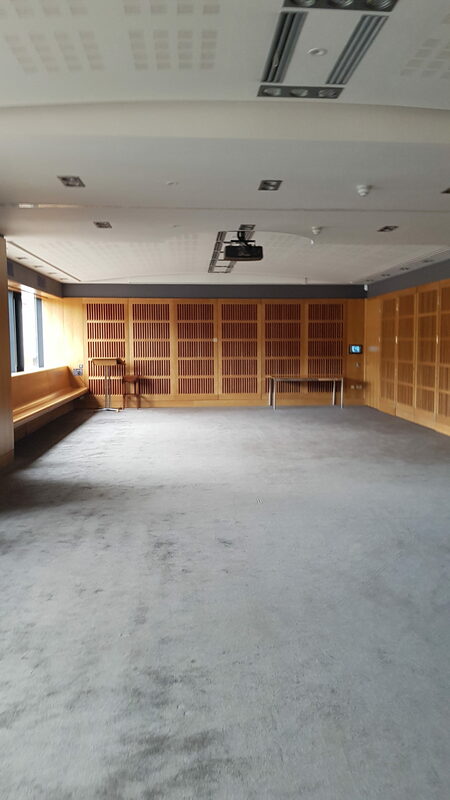 We are very excited to have recently discovered some amazing new space at Newnham College Cambridge. The great news is that most of it is available throughout the year. 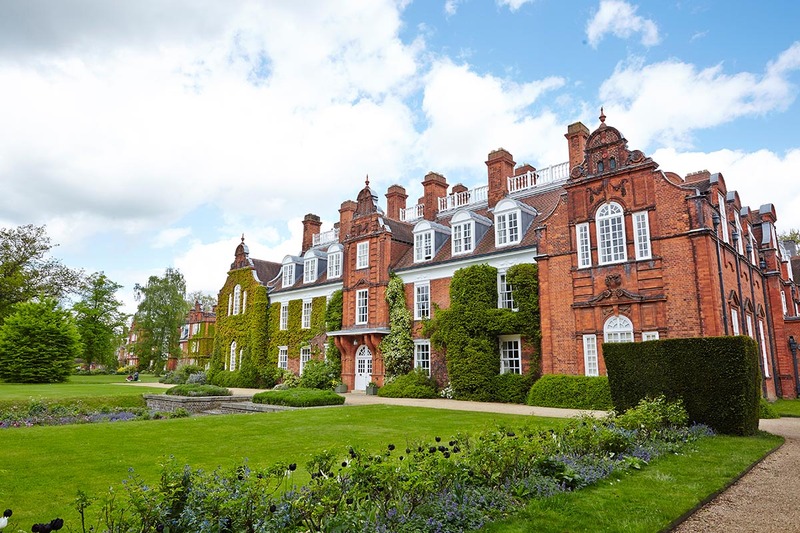 Newnham is set in 17 acres of grounds, which are made up of informal gardens and a sports field; all that can be used for events and meetings. 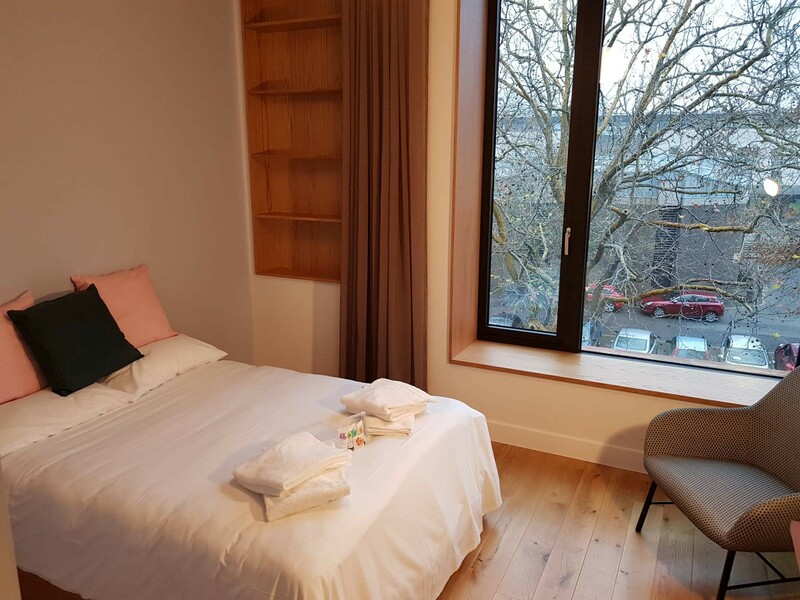 In September last year they completed work on their new building, the Dorothy Garrod Building, which houses a new bedroom block and several meeting rooms. The bedrooms in the block are available for hire in the holidays. There are 81 double and 5 single en suite rooms; all with access to a shared kitchen. 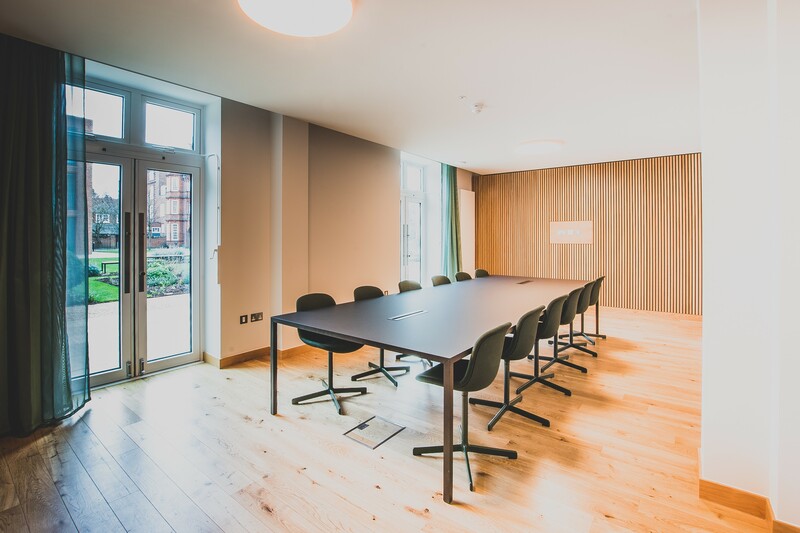 There is a large meeting room on the ground floor, the Cynthia Beerbower, The space has natural daylight and lobby access to the gardens. The room has built in AV and can seat 150 theatre style but can also split into two. There are two smaller rooms in the same area that provide ideal breakout space. During the holidays there is additional space to hire in this area; including the Café. 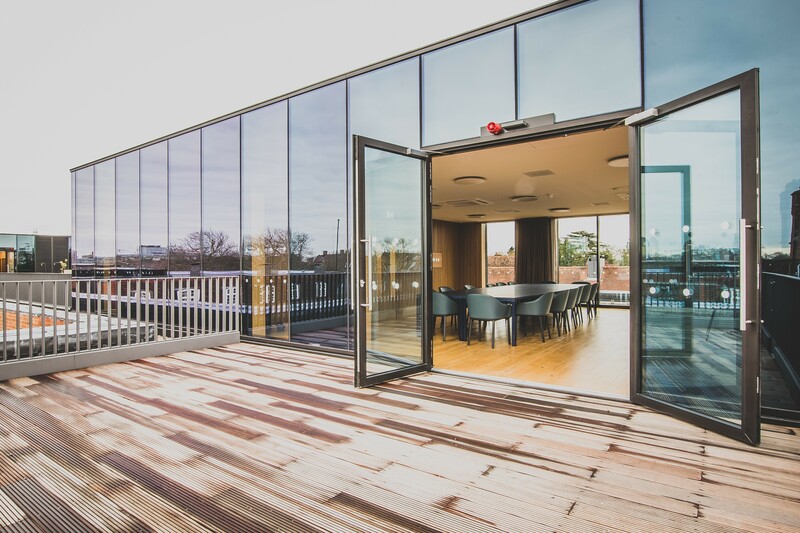 On the roof of the building is a meeting room called the Pavilion which has its own private terrace, with great views over Cambridge. The room itself has windows on three sides, so is light and airy and can seat 16 very easily for a boardroom or private dinner. In the older part of the college there are a further 3 large rooms. One of these rooms the Lucia Windsor can split into 2 and can hold up to 120. They all have daylight and built in AV. Again, there are several smaller rooms that are perfect for breakout space. 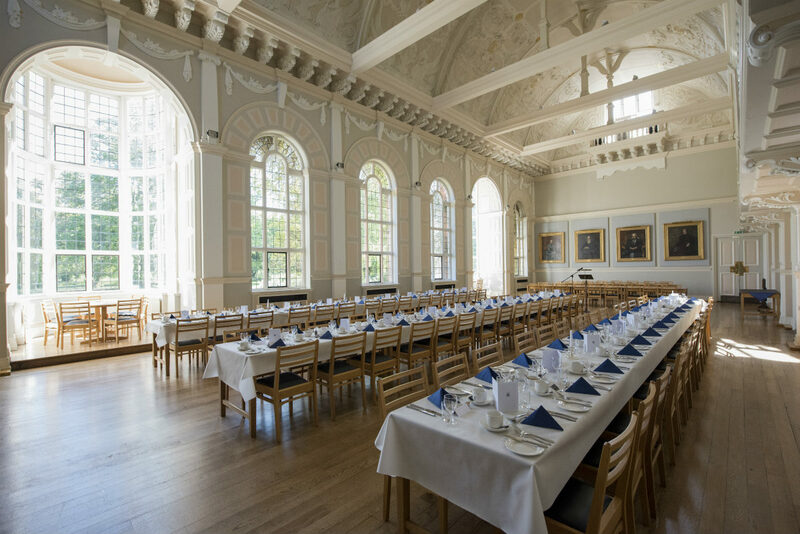 Also, in this area is the College Hall, which has large windows, with views over the gardens and an ornate Victorian vaulted ceiling…absolutely breath taking. Unlike a lot of college Halls this is also available to hire all year round and can take 180 for dinner. The new and old parts of the college connect seamlessly with a modern contemporary style running throughout.